We have the great responsibility of sending our teams home safely to their families every day. 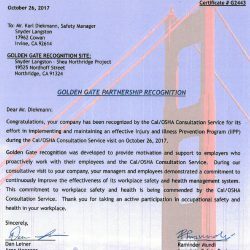 Safety is something we take very seriously and we love to recognize success in this arena. 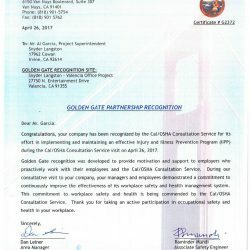 Snyder Langston’s Entrada-Scorpion team received The Golden Gate Partnership Recognition Award.